Recently, Singapore Airlines launched a chatbot known as Kris on their Facebook page. According to the developers, the chatbot can answer a myriad of queries regarding the airline’s services. Singapore Airlines is also planning on making this chatbot available on their official website in the recent future. Will the chatbot perform as expected when we test it out? Let’s see if it will live up to our expectations. To gain access to the chatbot, you need to visit Singapore Airlines official Facebook page. As soon as you open up this link, the chatbot will open a chatbot a chat at the bottom of your screen. You can also move the conversation to Facebook Messenger if it is more convenient for you. One noticeable thing about Kris is that you don’t need to activate it like other Facebook chatbots. To use the chatbot, all you need to do is type in your query. If you type ‘get started’ in the chat, the chatbot won’t understand your question. How do I purchase additional baggage allowance online? What should I do if my baggage goes missing? When you select ‘info about baggage,’ the chatbot will ask you if you want to find out more about baggage allowance, additional baggage, lost baggage, prohibited/restricted items, and checking-in baggage to your final destination. Based on what you select, the chatbot will give appropriate information. 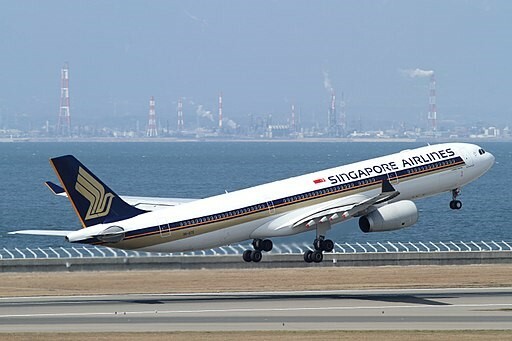 For example, if you want information regarding baggage allowance, the chatbot will first find out if you are flying with Singapore Airlines or one of its partners. Then, the chatbot will ask you if you want to know about checked or cabin baggage. Let’s say that you select checked baggage. The chatbot will find out if you are flying to or from the USA. Assuming you say yes, the chatbot will inquire about your class of travel. You have to select from economy, premium economy, business, and suites/first class. When you choose premium economy, the chatbot will ask you if you are a member of KrisFlyer Elite Gold, PPSClub or Star Alliance Gold. If you select PPS Club, the chatbot will give you all the details regarding baggage allowance for this type of membership. According to the chatbot members of the PPS Club have the liberty to check in two pieces of luggage for free. In addition to the membership, the premium economy also allows you to check in two more pieces of baggage. Overall, you can check in up to four pieces of luggage without having to pay any fees. The weight of the baggage shouldn’t exceed 23 kg as it is the rules of Singapore Airlines. I made a mistake in the name used in my booking. How do I correct it? How can I select a seat online? Assuming you want to get more information about ‘how to book online?’ The chatbot will give you a step-by-step procedure on how to book your ticket online with Singapore Airlines. It includes all the information you need to provide to use its online services. The chatbot will even give you a direct link to the booking site. Every time the chatbot provides information, it will ask you if it understood the question correctly. Overall, Singapore Airline’s chatbot Kris is one of the best travel bots in the market. The chatbot has a myriad of topics that cover all customer queries. The information the chatbot provides is comprehensive and useful. There is almost no learning curve to use the chatbot. As a result of this, even new users will get the hang of handling this chatbot in a couple of minutes. Do give this chatbot a shot on Facebook Messenger if you are planning to fly with Singapore Airlines!